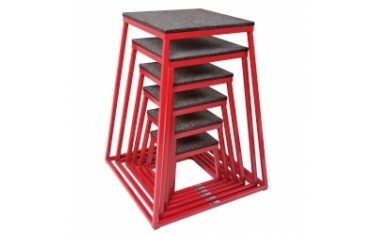 These plyometric boxes provide maximum stability and durability with their steel construction and fully welded frames. Any athlete can use these boxes for forward jumps, lateral jumps, box drops, depth jumps and other plyometric drills. Available in multiple heights for developing reaction time and overall explosiveness which is very essential for Tennis. The set of 5 boxes consists of boxes of height 6", 12", 18", 24", 30"